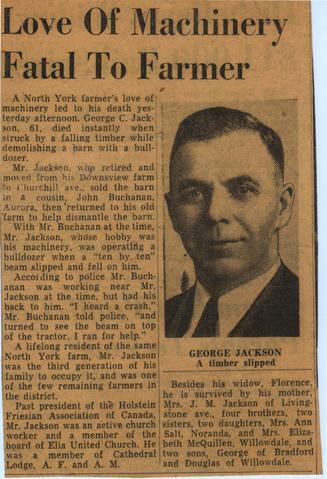 Description : A summary of accident leading to the death of George C. Jackson. Followed by telling a little bit about who Mr. Jackson was. 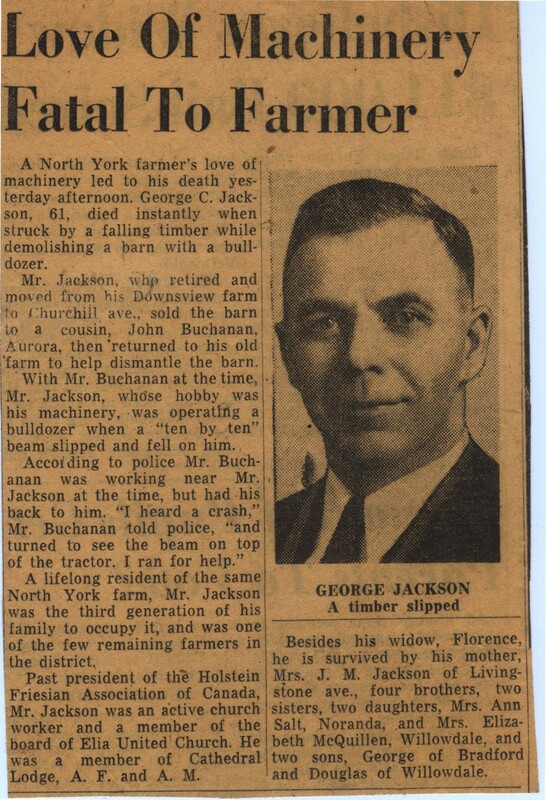 Also, the article proceeds to talk about the family of Mr. Jackson. Telling that he is survived by his wife Florence, his mother Mrs. J. M. Jackson, four brothers, two sisters, two daughters: Mrs. Ann Salt and Mrs. Elizabeth McQuillen and two sons: George and Douglas.